By time I made it to the House of Blues in Dallas, the lines at the gate were all but gone, all except those who were waiting for their 21 and over wristbands. There wasn't a hint that people had been waiting for hours in line to get a spot against the barricade. 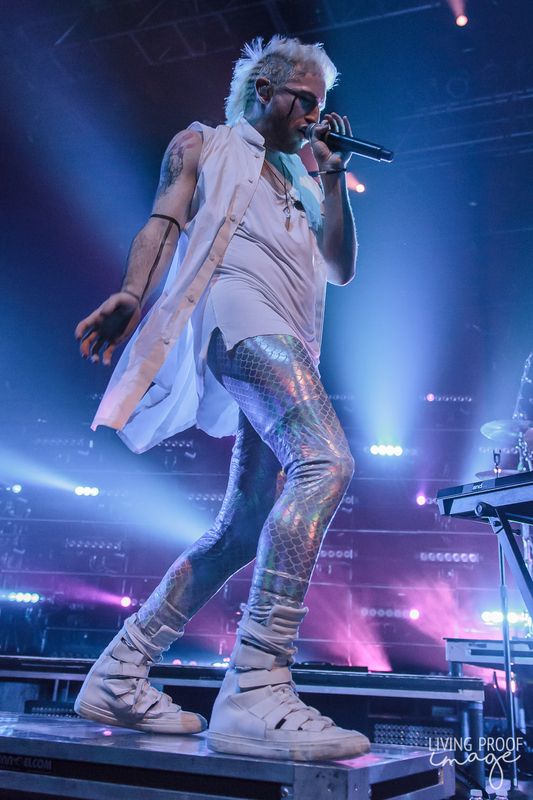 But alas, once I made it into the main hall, the general admission floor was packed to capacity. 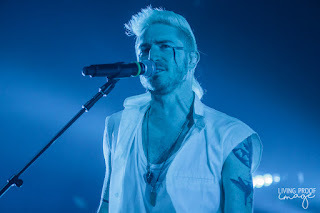 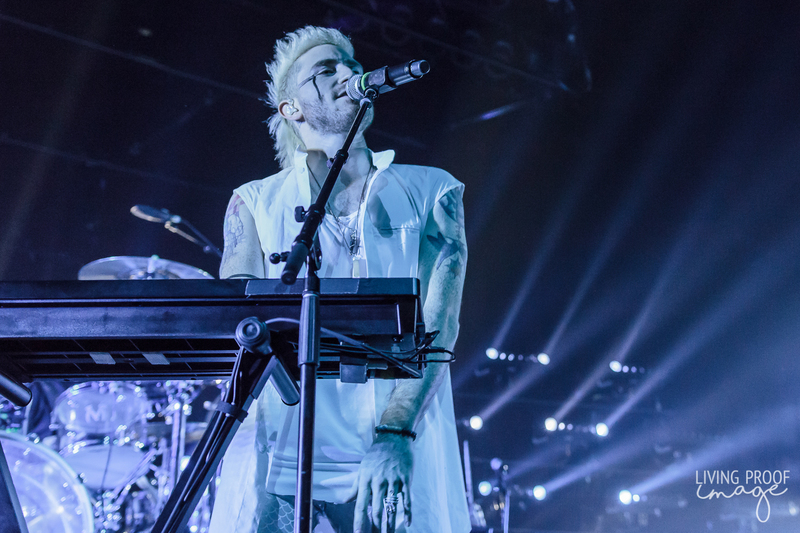 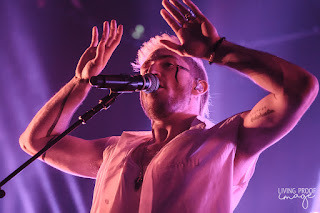 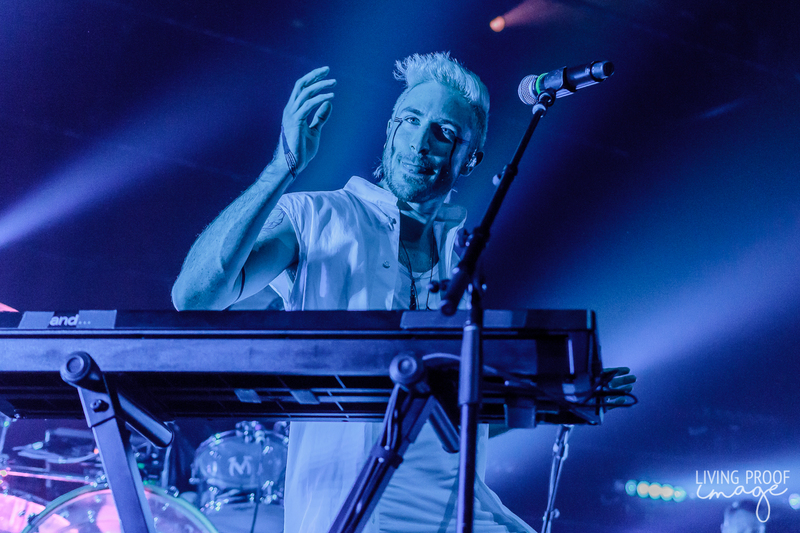 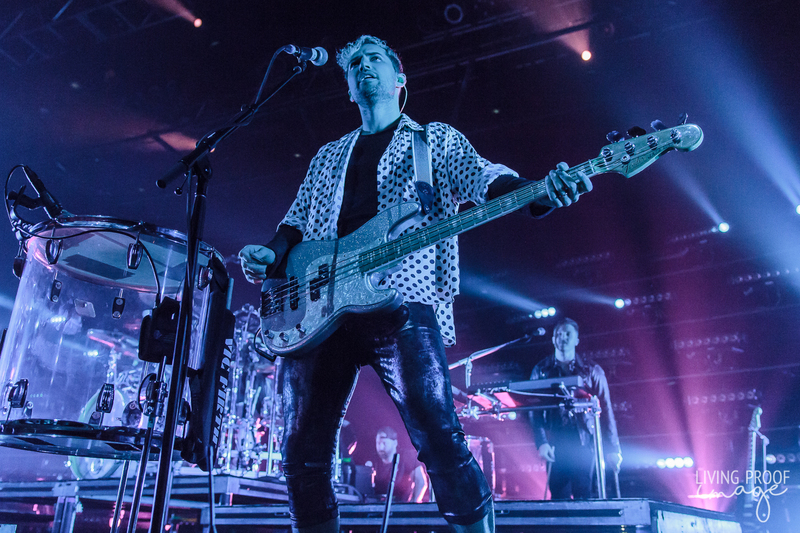 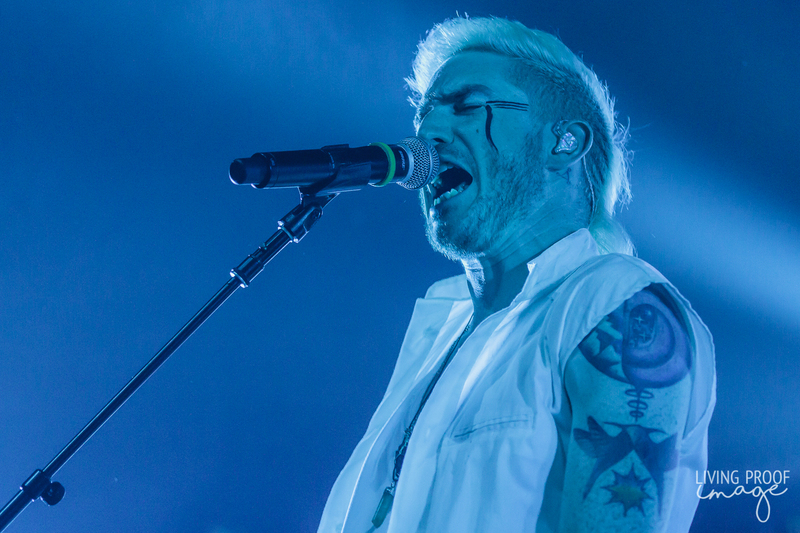 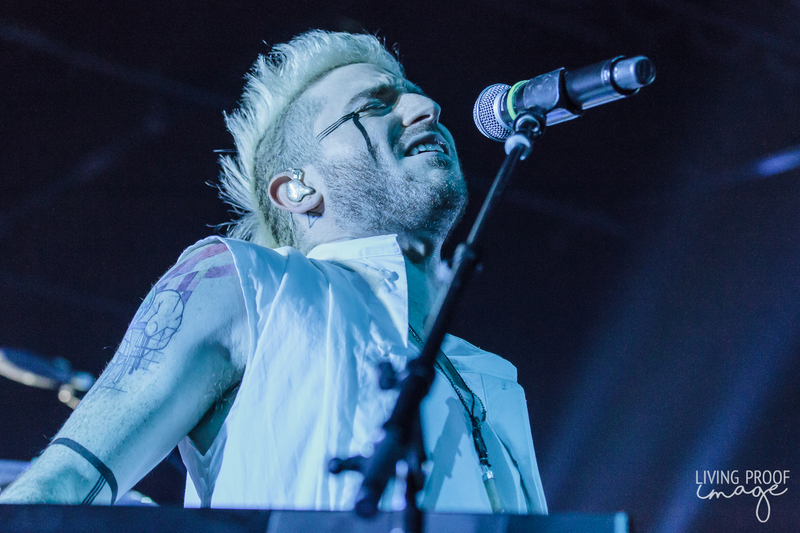 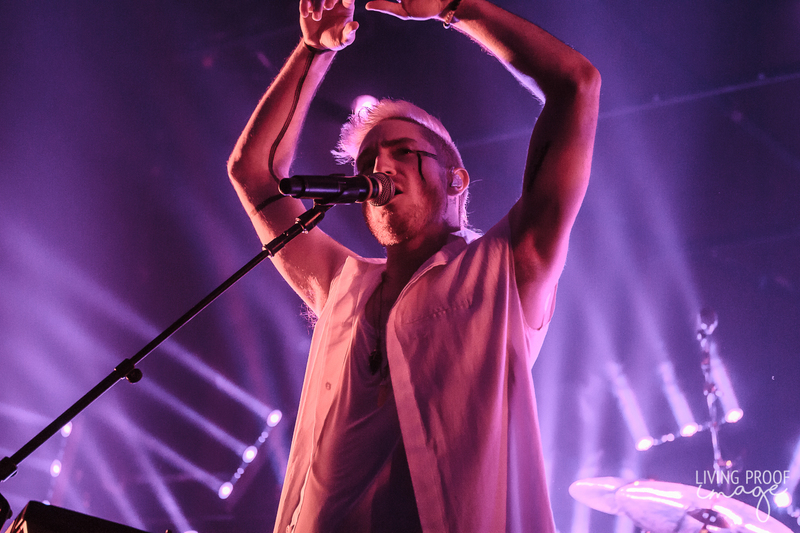 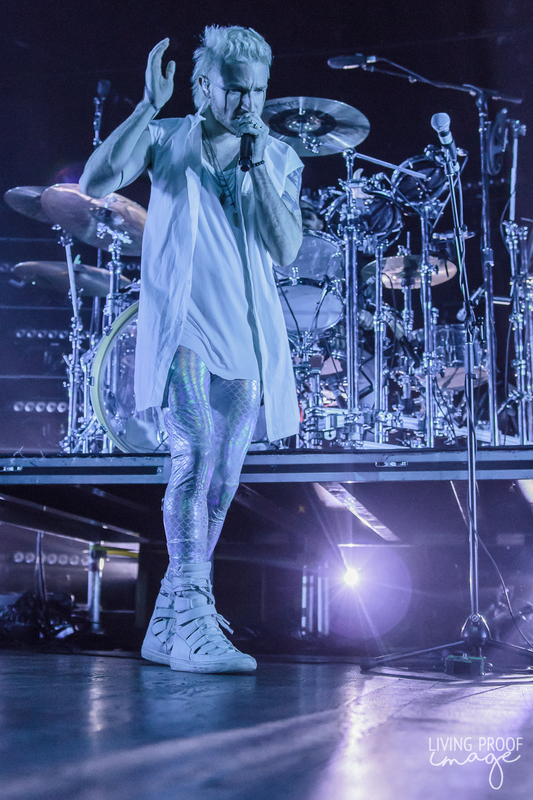 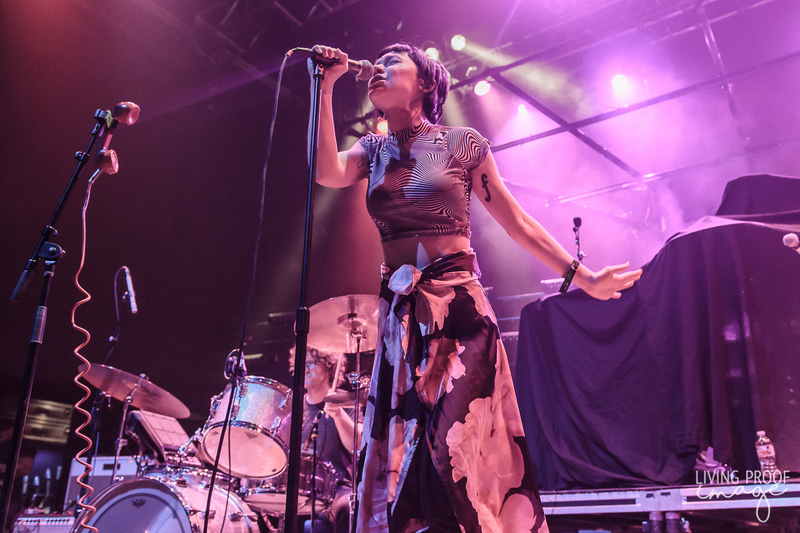 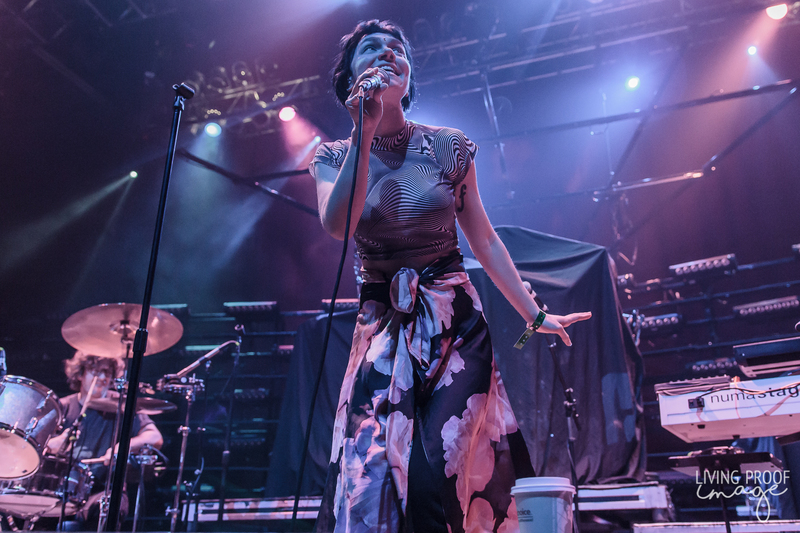 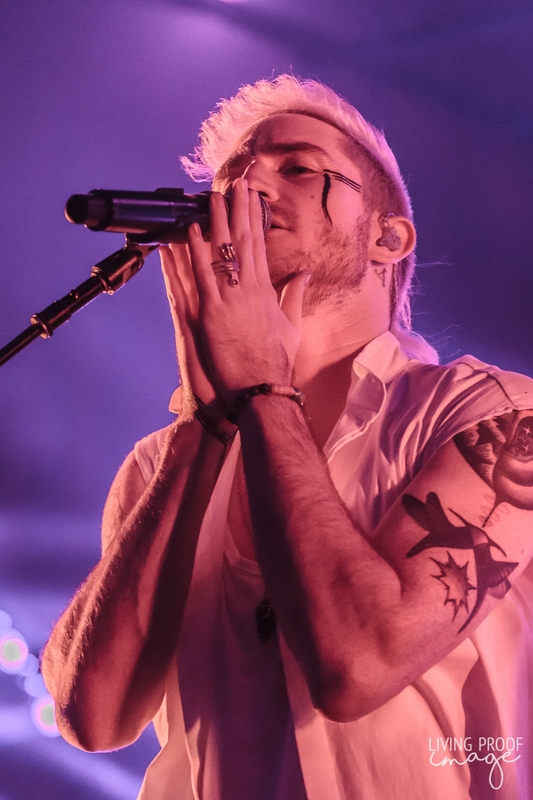 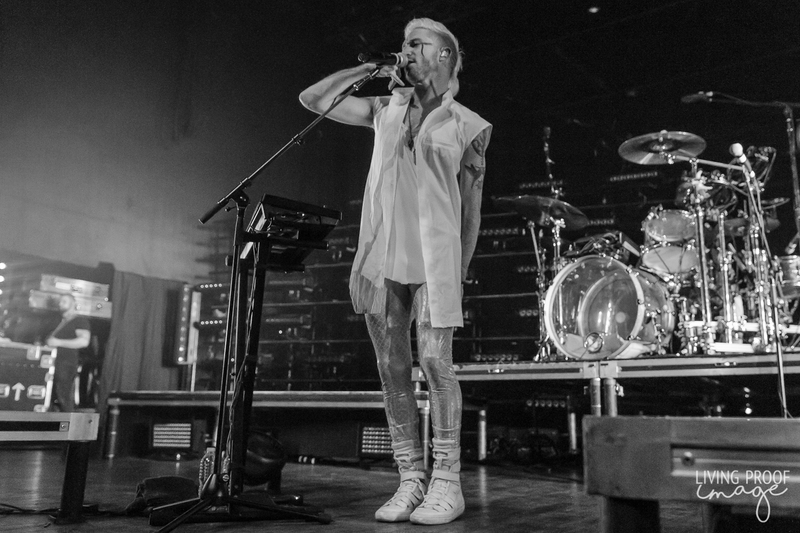 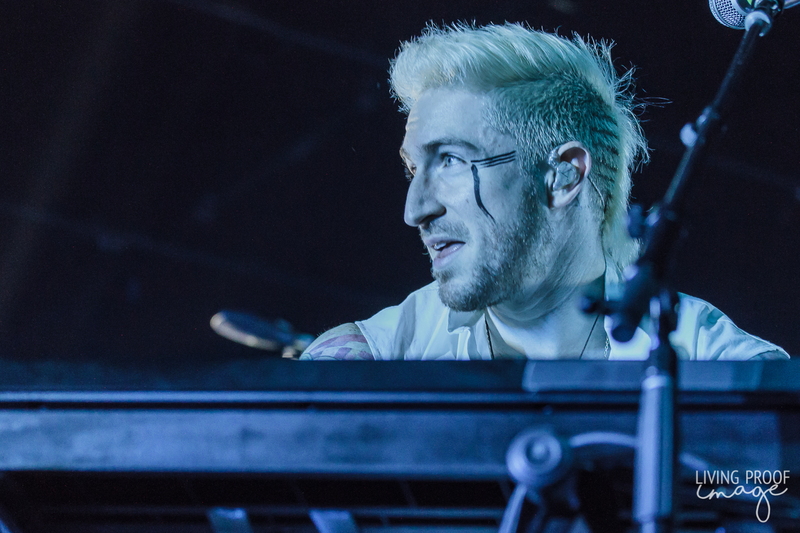 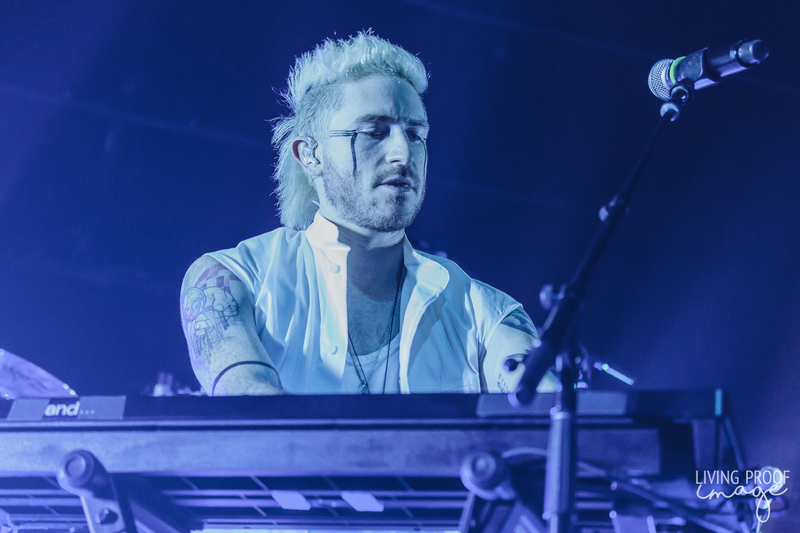 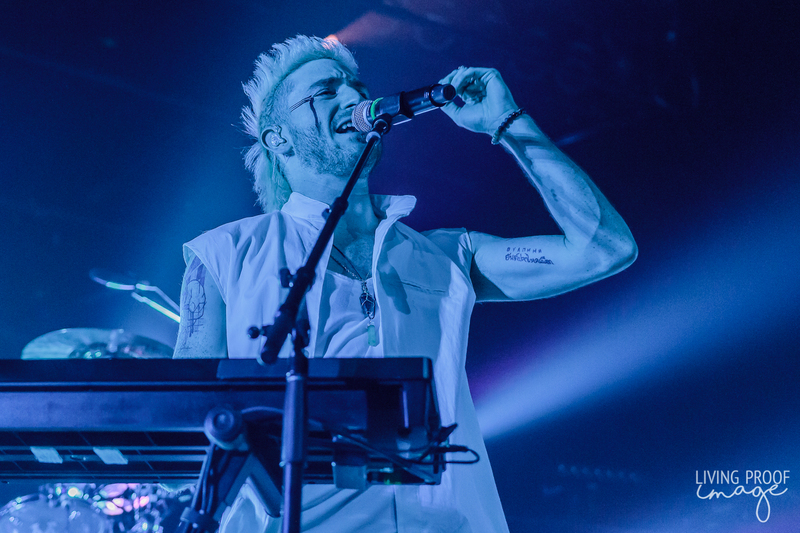 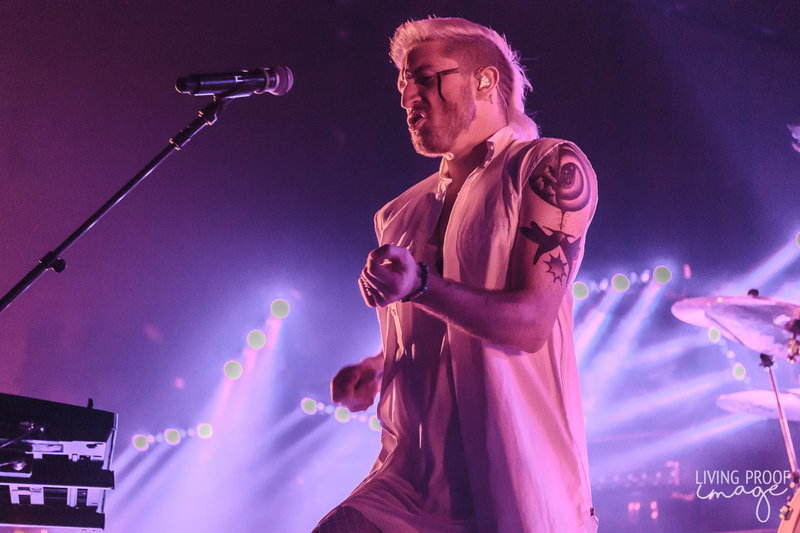 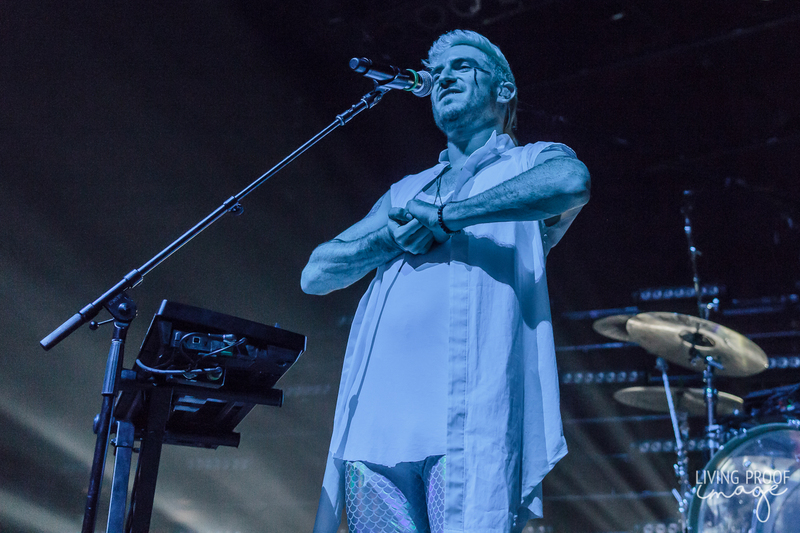 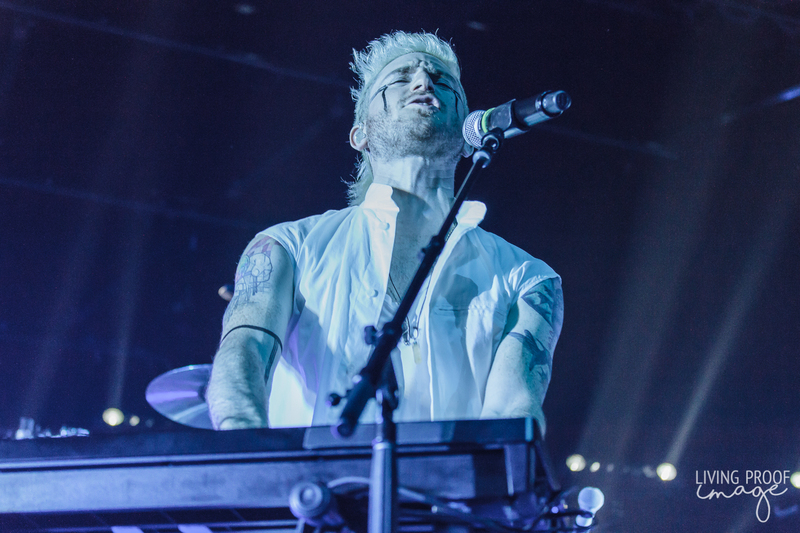 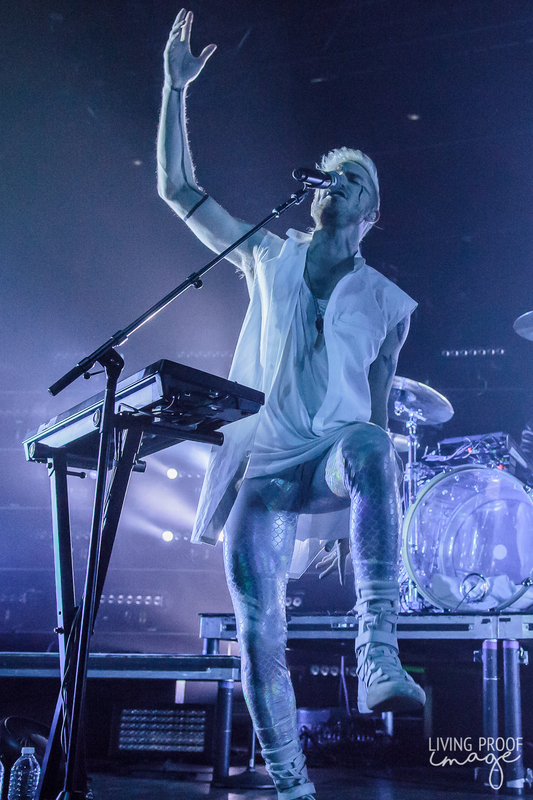 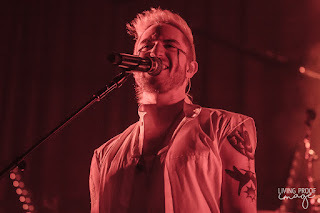 People, young and old, adorned with face paint and tour t-shirts were packed like sardines, ready to dance the night away with Walk the Moon. 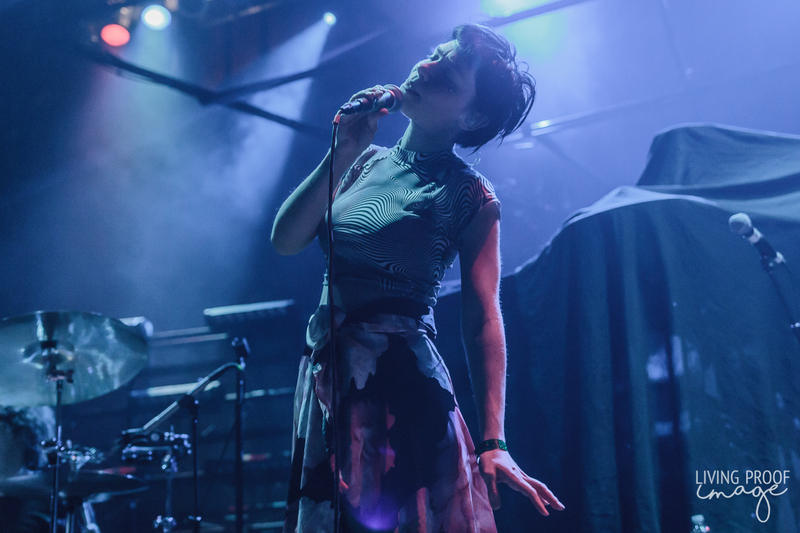 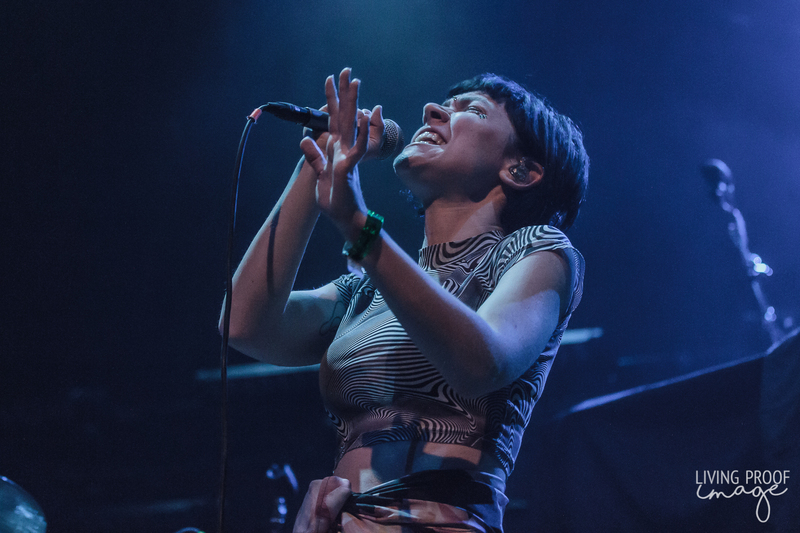 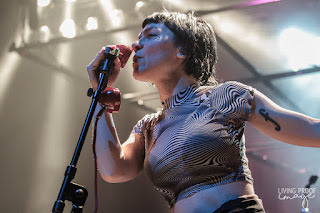 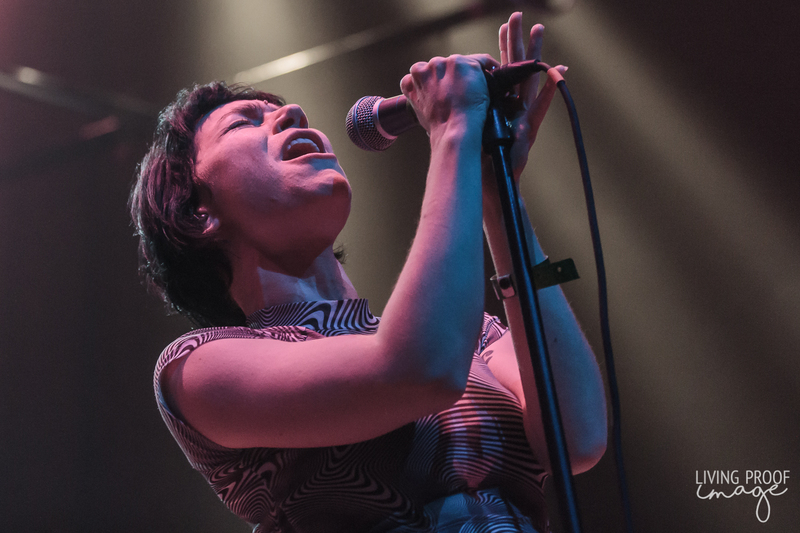 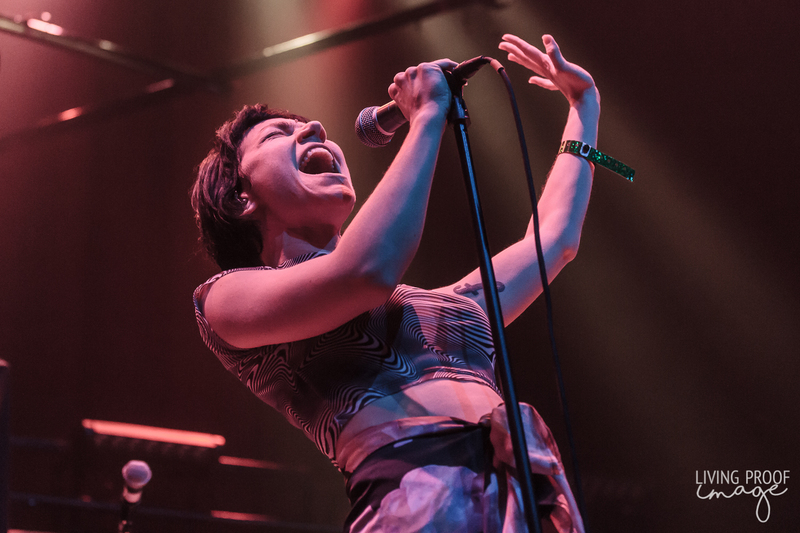 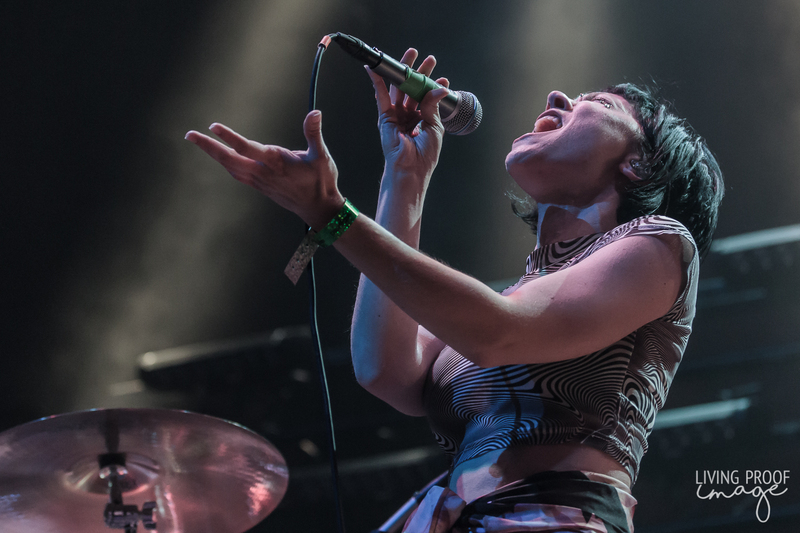 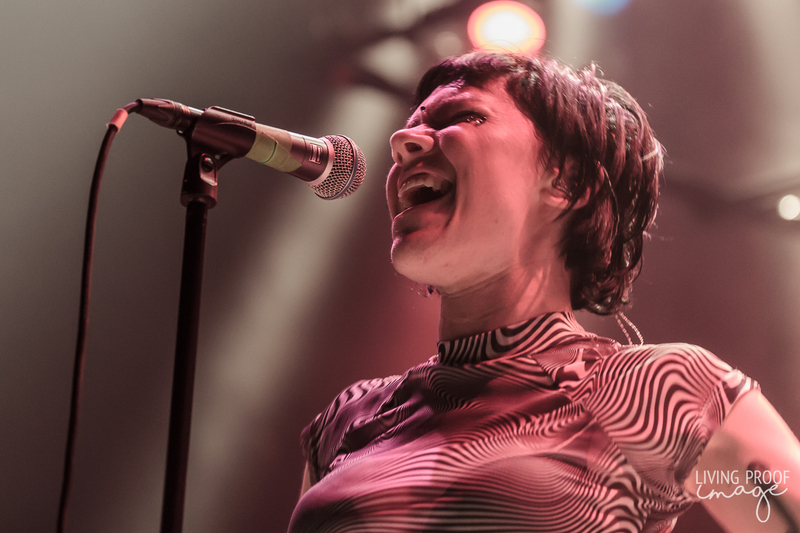 The quartet from Ohio are touring in support of their latest effort, What If Nothing, and making their first stop in Dallas since their 2015 show at the South Side Ballroom. 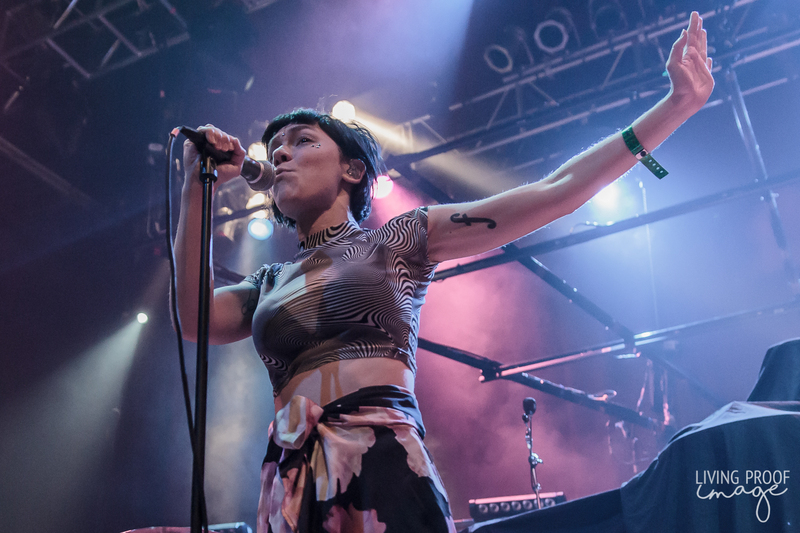 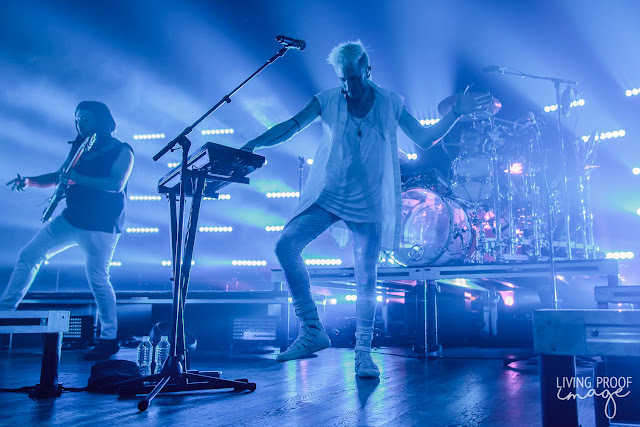 Interestingly enough, the Ballroom's capacity is over two times that of the main hall of the House of Blues, but it was not available because of the EDM show, CRUSH Dallas. With the sheer amount of interest in the show, the promoters could have easily booked multiple nights at the HOB or a larger outing at the newly opened Toyota Music Factory's indoor theater (whose 4,000 capacity just housed the Killers' recent show). 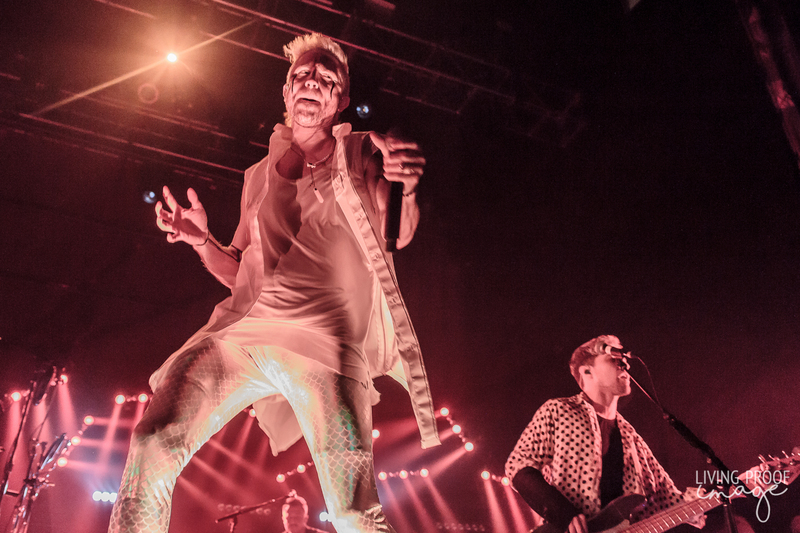 Regardless, the packed house at the HOB was buzzing and the night's entertainment was going to be something special. 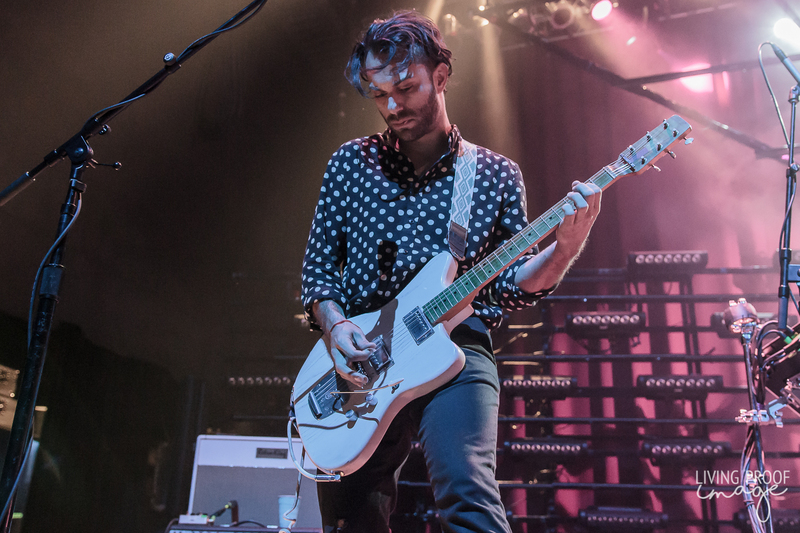 Company of Thieves got the night going with their brand of indie rock. 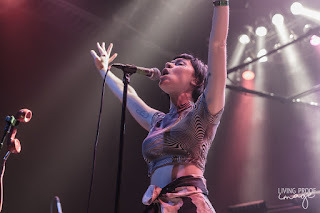 The band from Chicago hit a hiatus in 2014 but recently reunited in late 2017 and released a single, "Treasure". 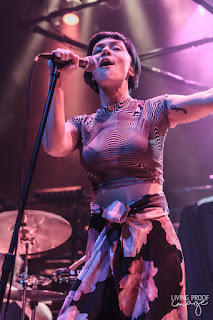 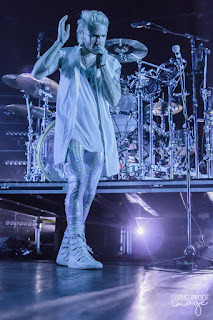 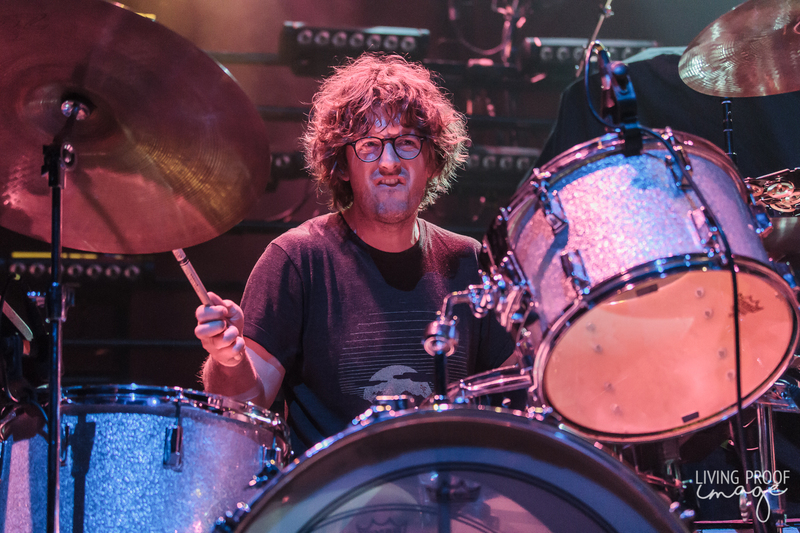 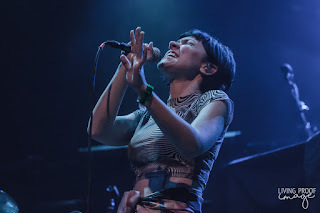 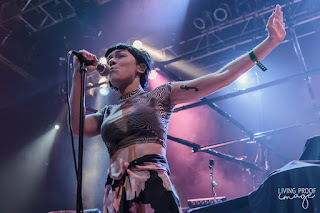 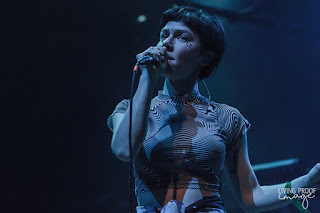 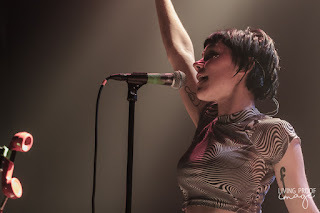 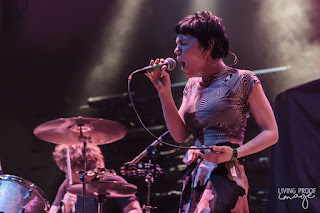 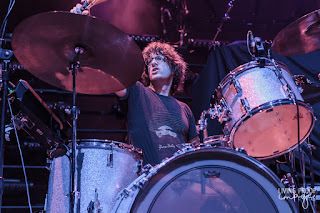 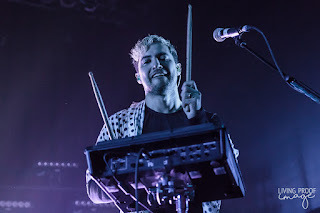 While there is new music on the way, they spent most of their short set revisiting older material and a commendable cover of the Killers' "When You Were Young". 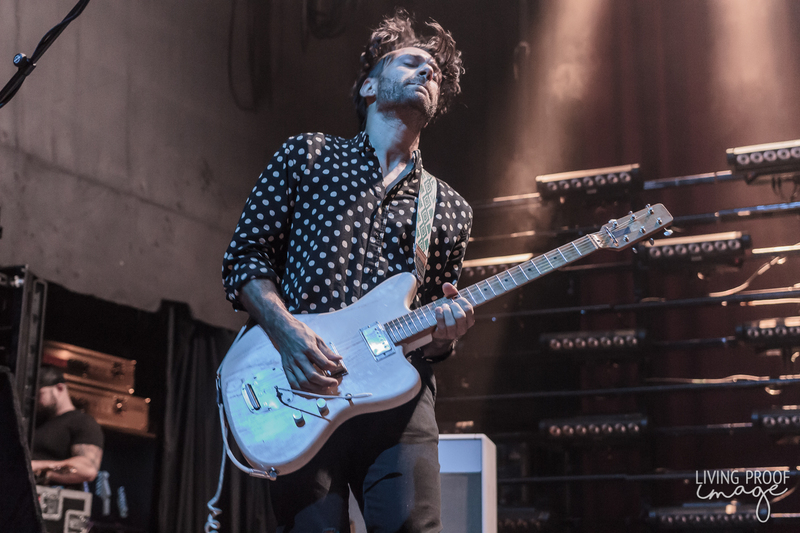 Once Company of Thieves had finished their set, there was short stage change and the crowd had another visit from the Killers, this time coming from the house music. 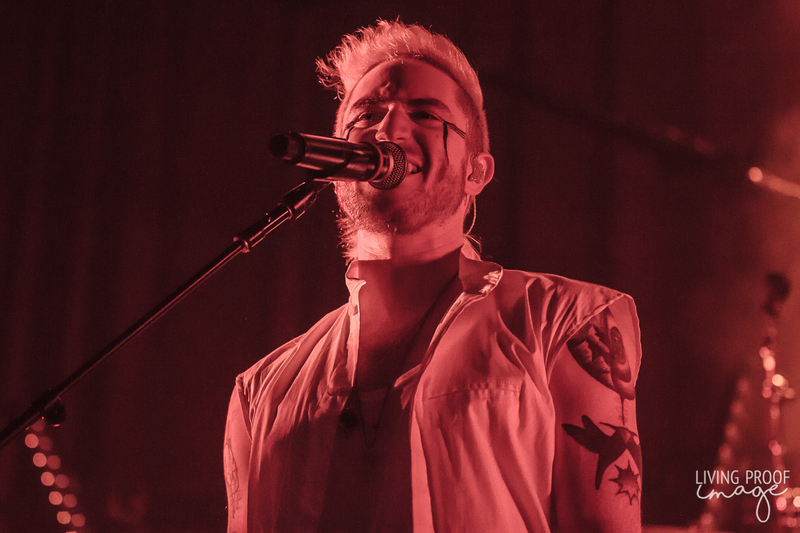 "Mr. Brightside" blared over the speakers and the waiting crowd could not help themselves and had a nice, little singalong. It was pretty loud, actually. This only got the crowd more energized and their patience would be rewarded shortly. 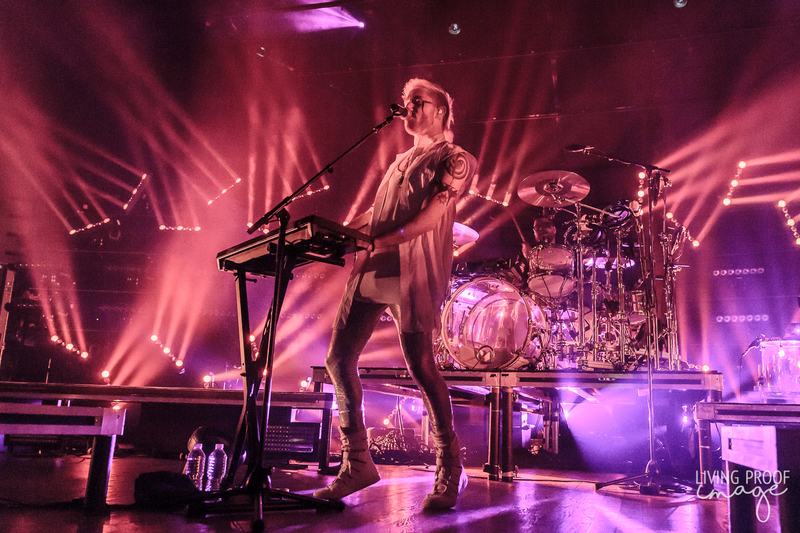 I've seen Walk the Moon twice before this show, once at How the Edge Stole Christmas at the Verizon Theatre, where they played an acoustic set, complete with pizza box percussion. 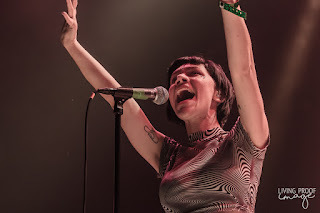 The second time was the aforementioned South Side Ballroom set. 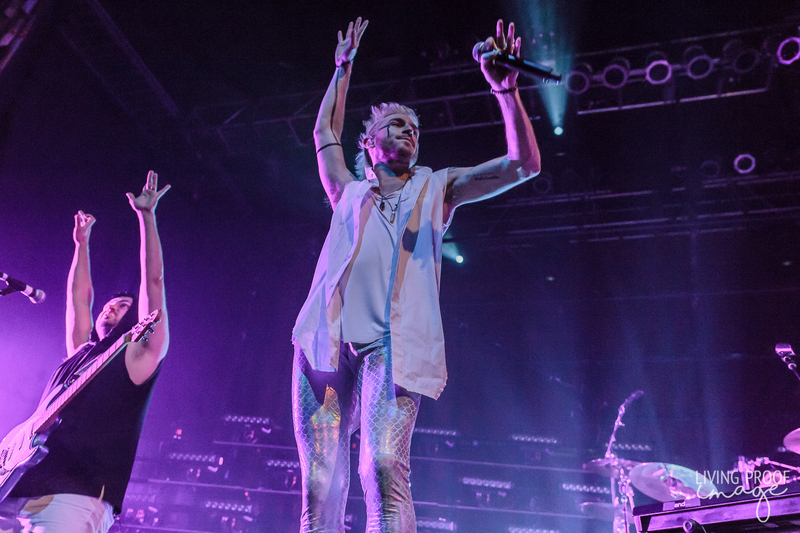 Their Ballroom show was much more entertaining, a full-blown production and light show in tow. The show at the House of Blues would follow suit. 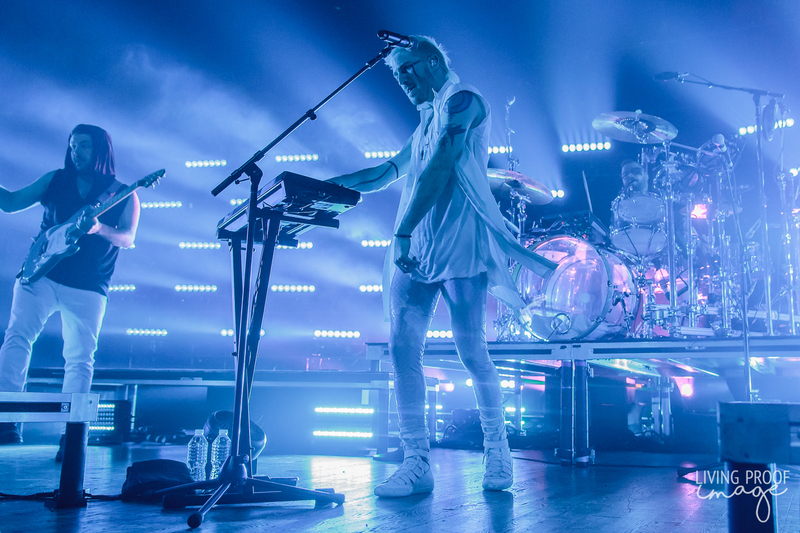 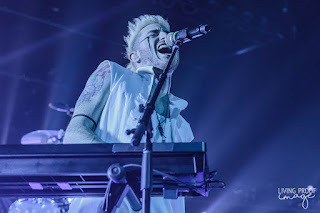 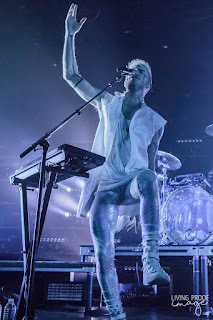 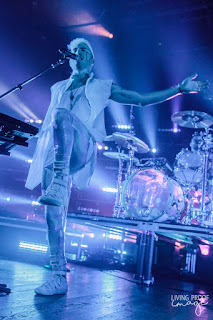 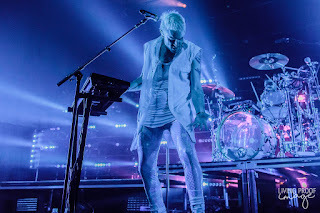 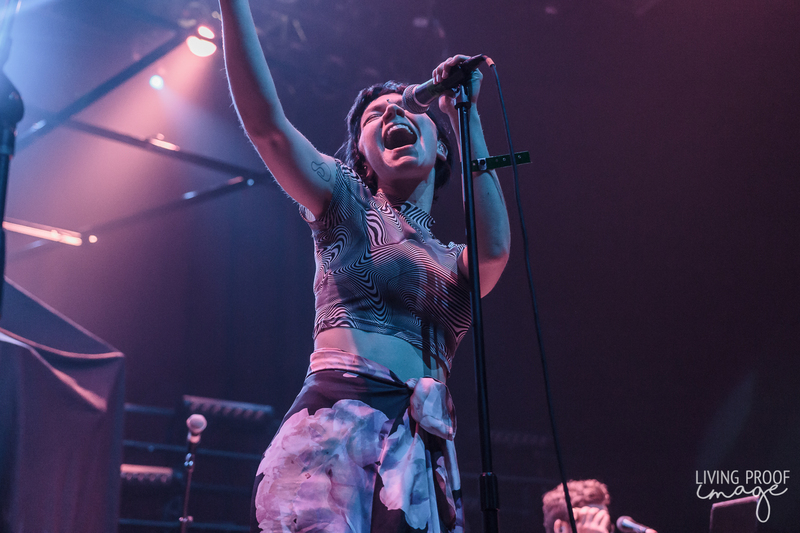 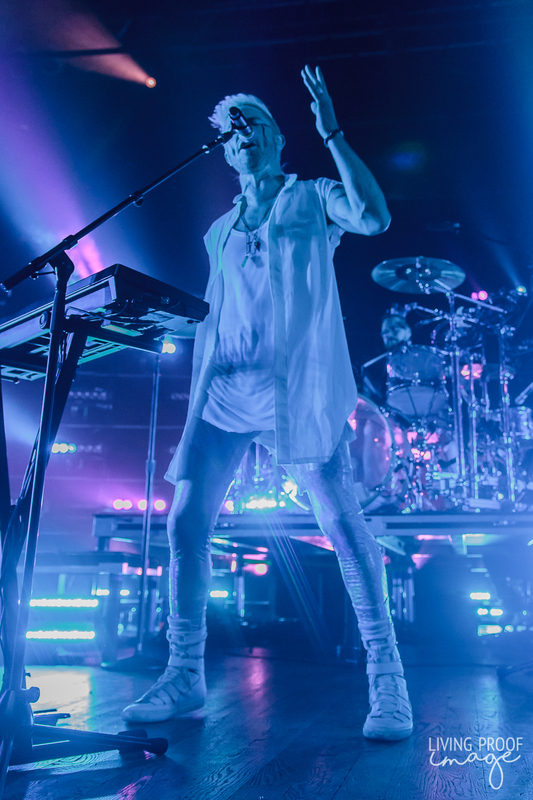 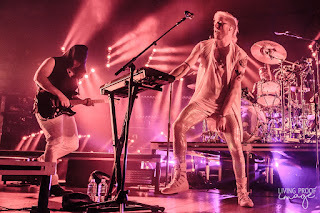 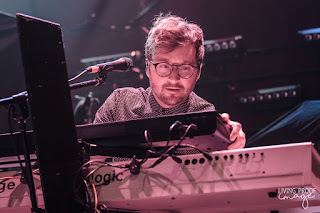 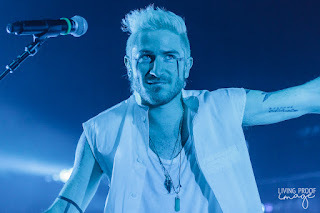 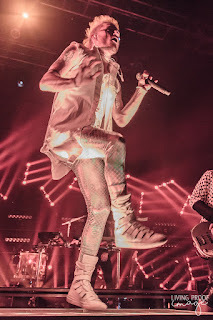 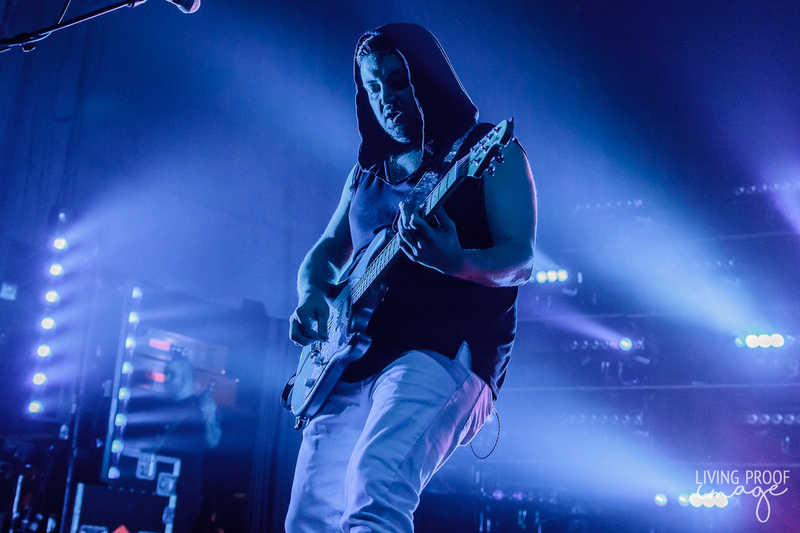 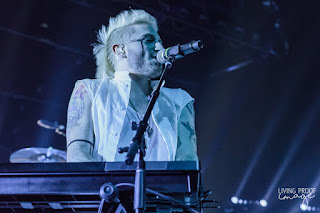 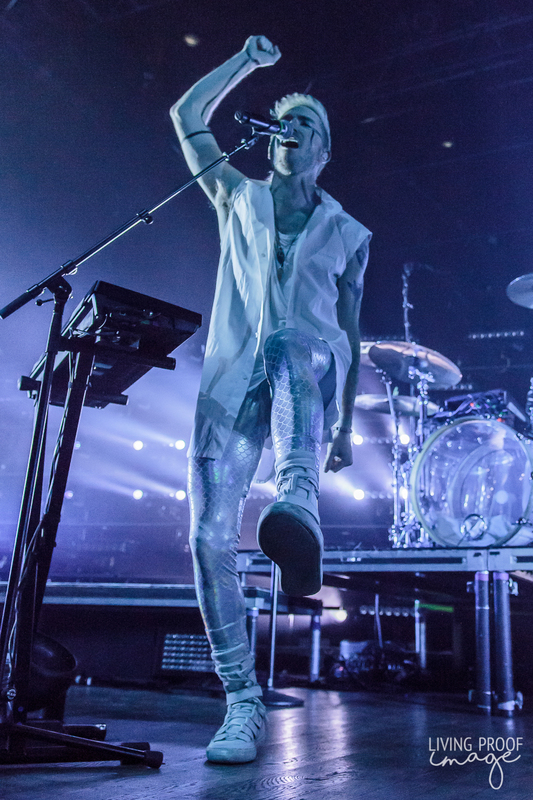 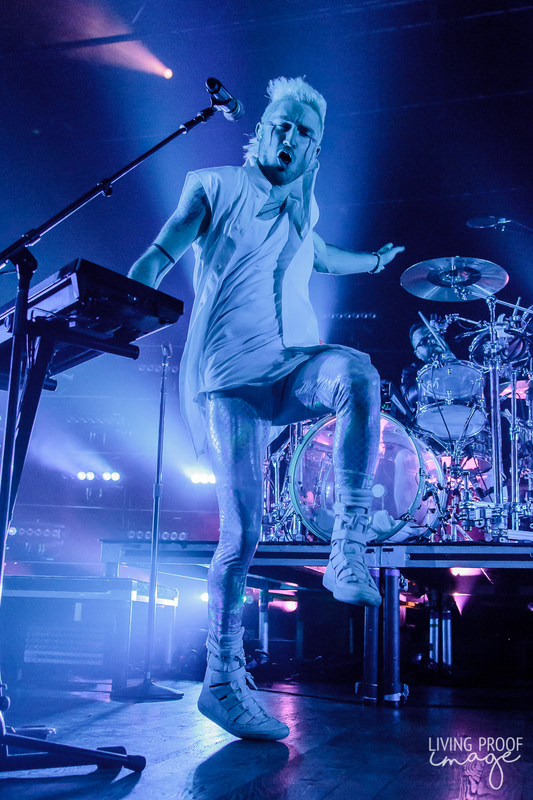 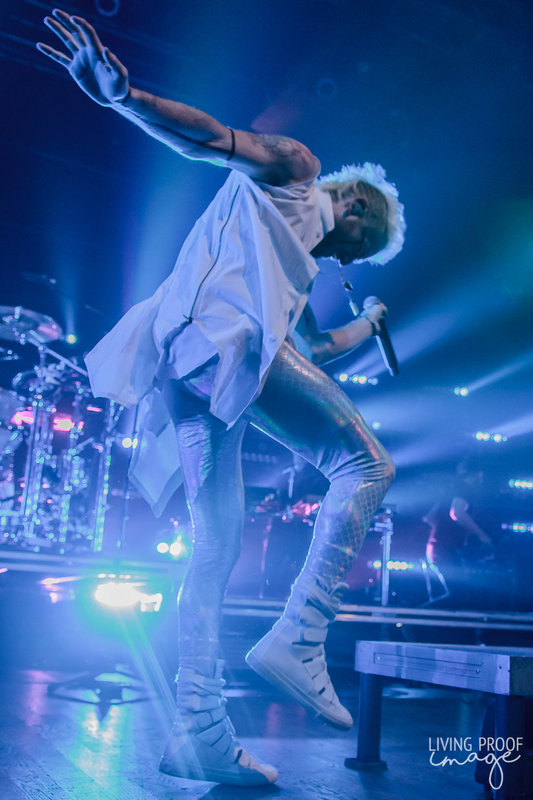 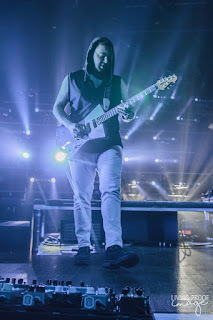 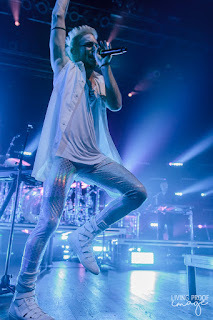 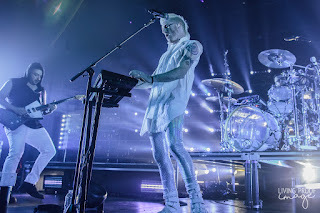 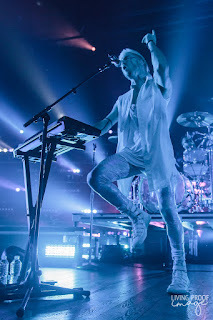 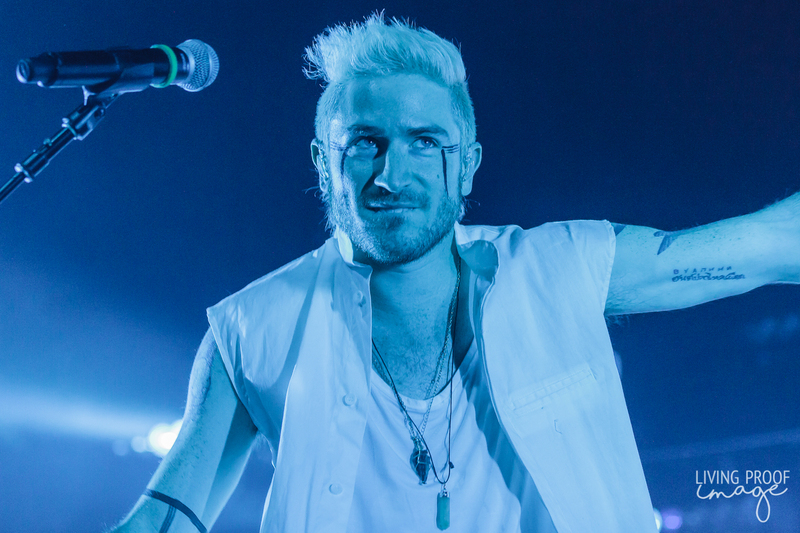 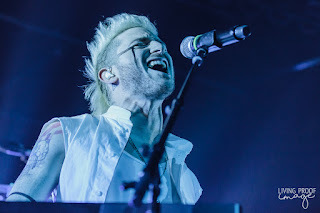 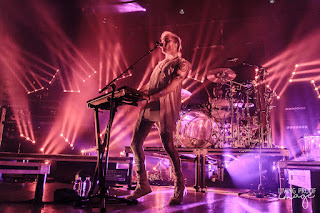 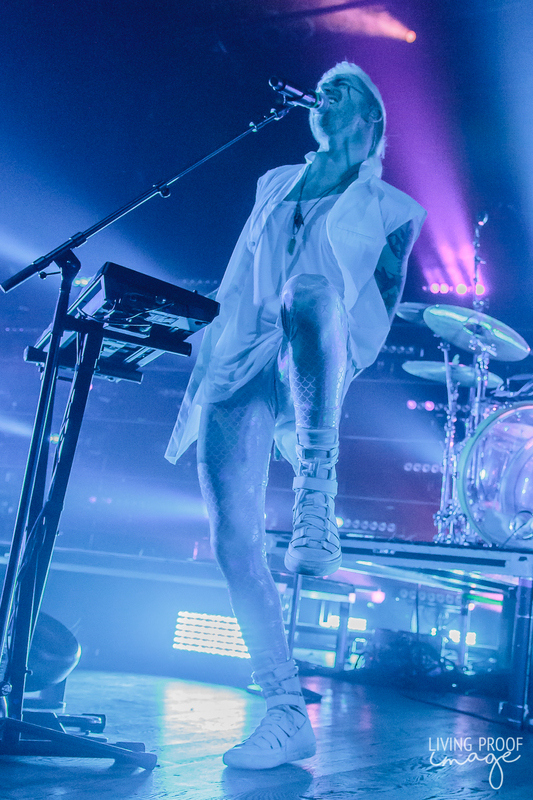 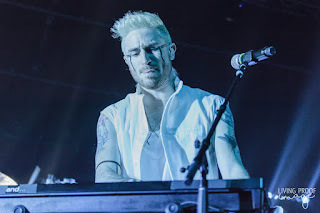 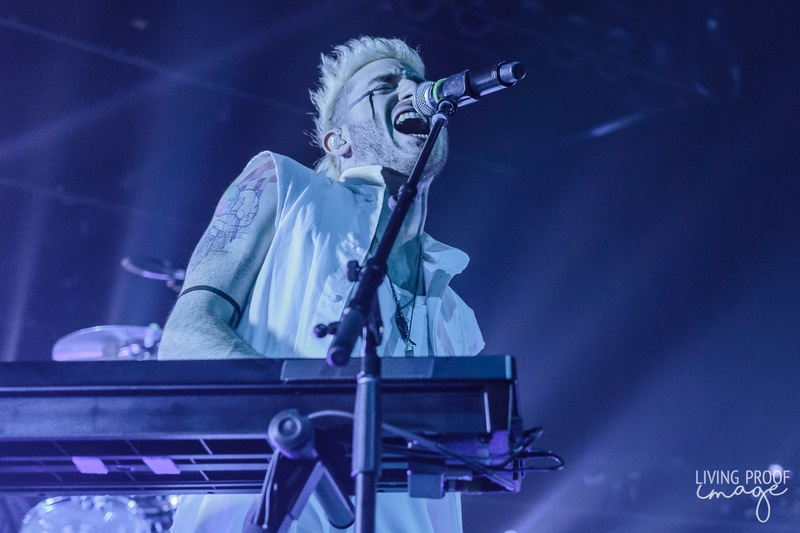 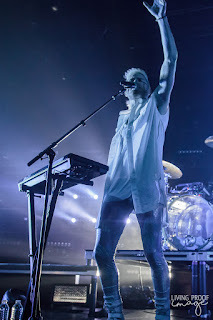 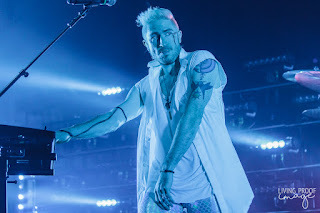 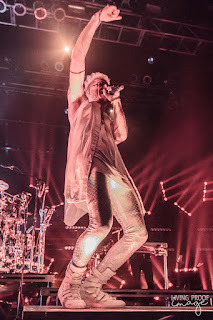 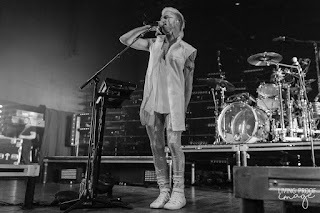 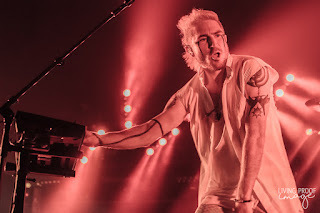 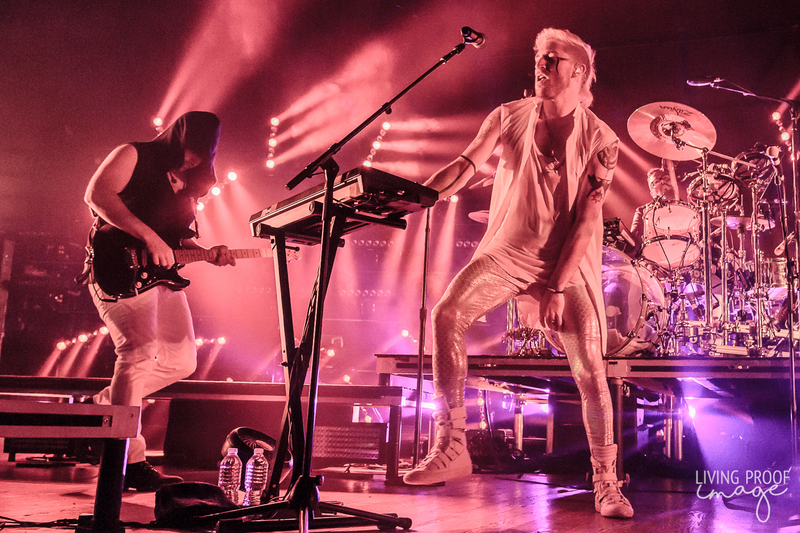 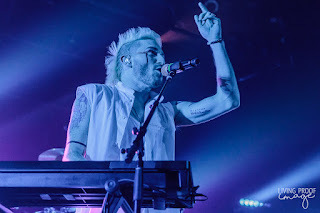 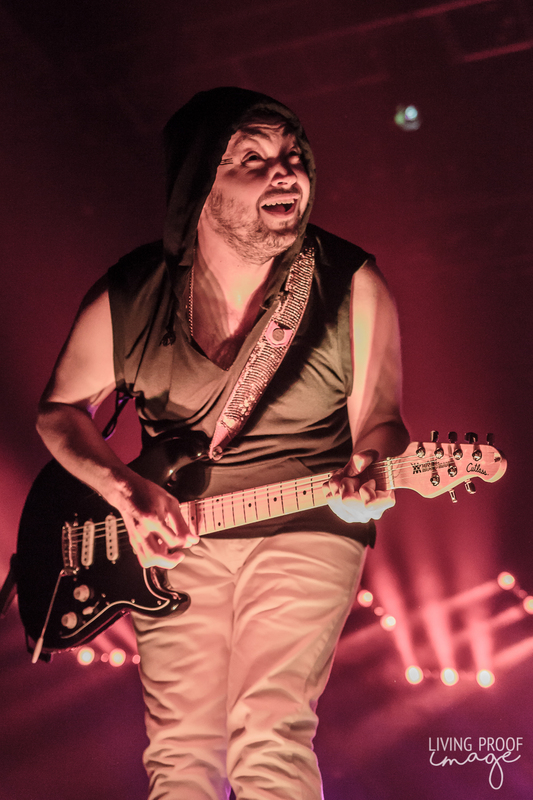 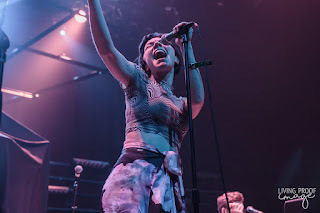 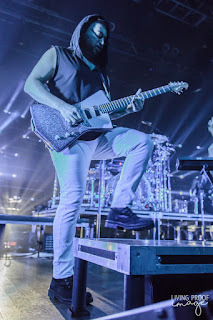 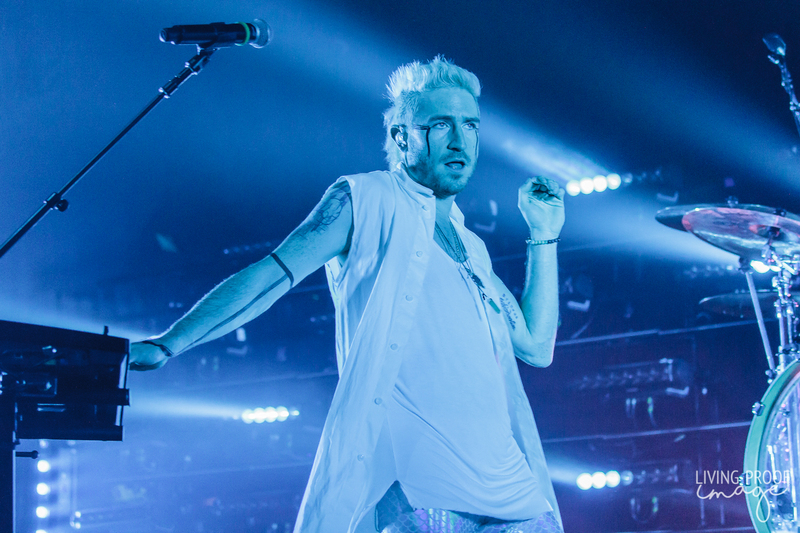 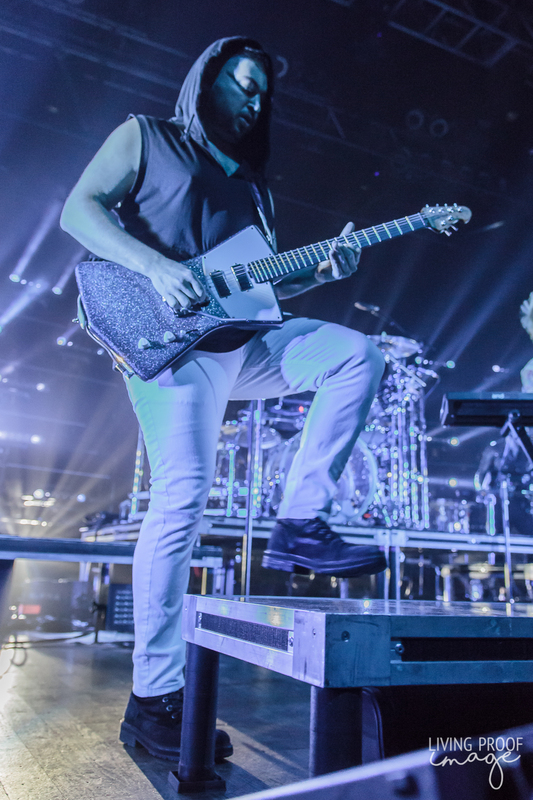 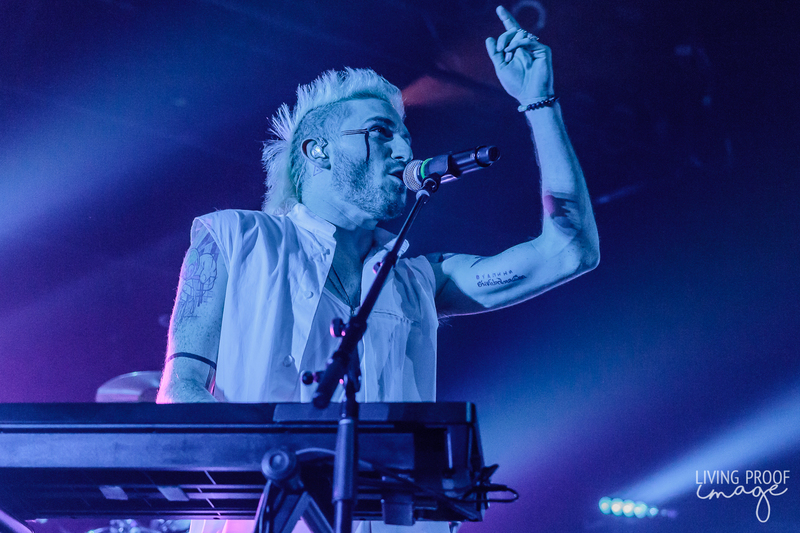 Coming out to an array of lighting, Walk the Moon jump started the show with "Press Restart", the opening track to What If Nothing and the namesake of their tour. 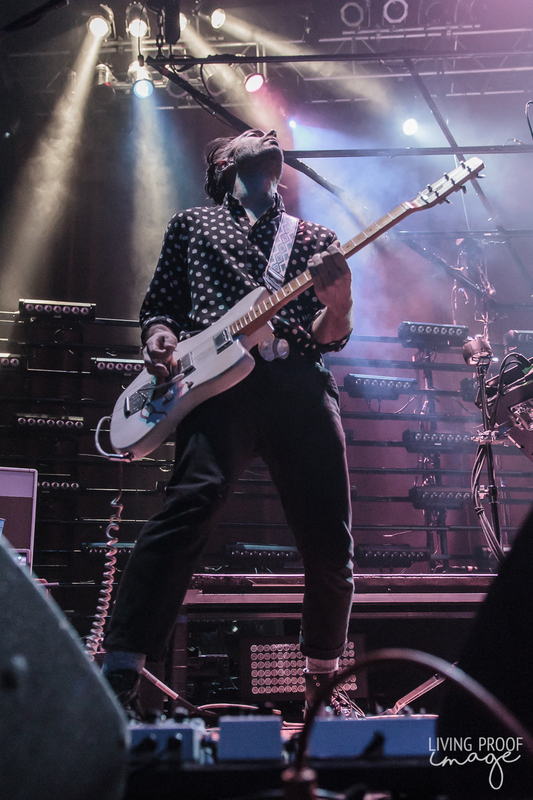 It doesn't take long for singer Nicholas Petricca and company to get the crowd going, engaging with the audience, clapping and jumping in unison. 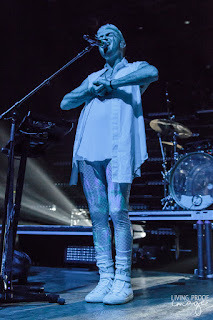 This has to be one of the most interactive crowds I've seen at a show in some time. 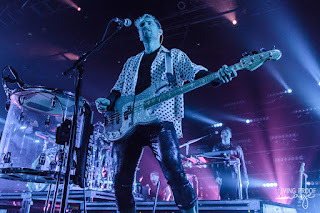 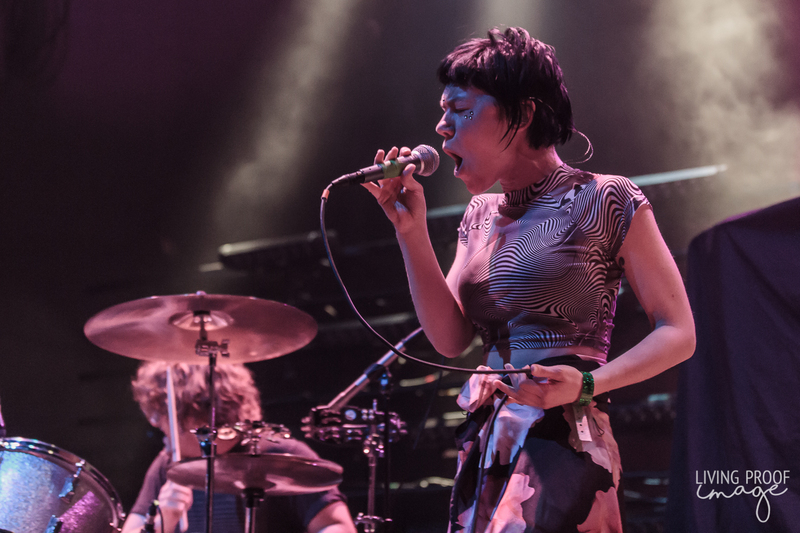 The band also made reference to how much they enjoy playing in Dallas and reminisced to their show at Tree's in Deep Ellum, asking who in the crowd attended that show in 2012. 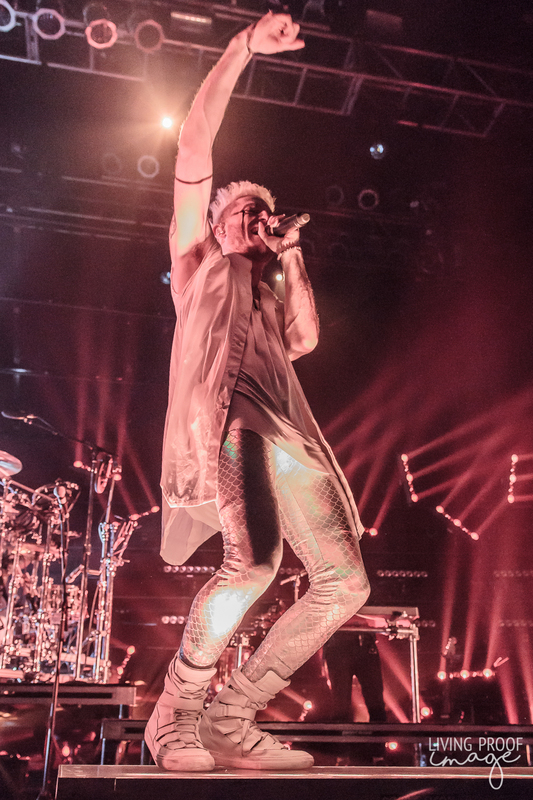 To their amazement, quite a few raised their hands and screamed.